Air hockey tables are made of slick surfaces usually made out of plastic. This playing field is surrounded by raised edges that prevent the puck from flying off the table. Each air hockey table is drilled symmetrically with tiny holes across the entire surface, creating an even and frictionless playing field. Underneath the table, a fan blows air through these holes. The air pressure is what keeps the puck floating, making it appear as though the puck is levitating. This is the same principle used in hovercraft technology. The key to creating this effect lies in the smooth surface and evenly blown air that the fan pumps up through the playing board. This allows opposing players to hit the puck toward the other end of the board without it getting stuck. You’ll notice that the puck usually keeps moving (slowly) even if you try to stop it. No cheating! The reason for this is the small funnels of air being forced up through the floor. If you put your hand to the table, you’ll be able to feel the air coming through. 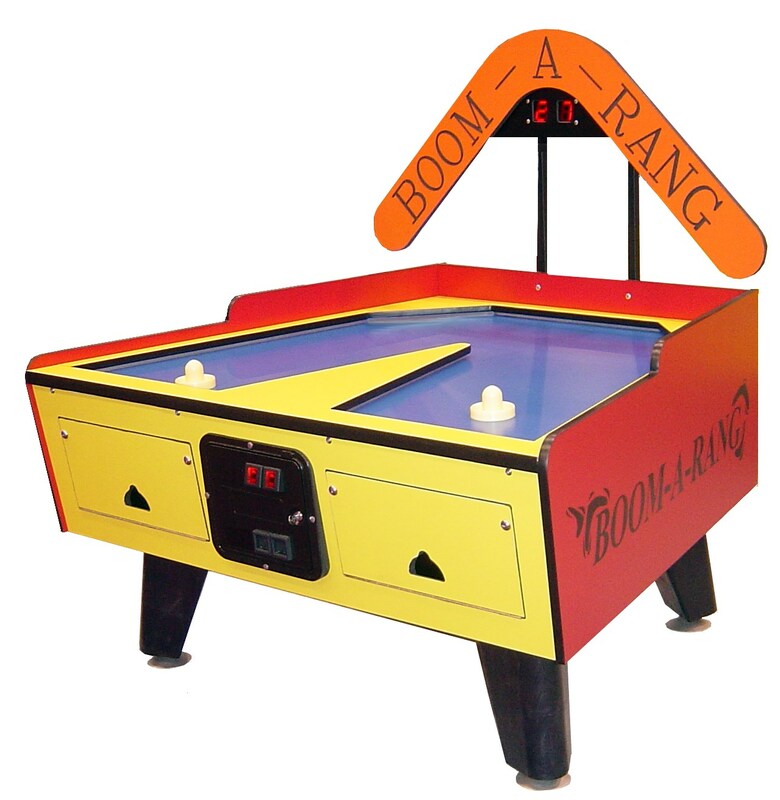 The Boom-A-Rang Air Hockey Table puts a new twist on the traditional game. Player stand next to each other and shoot the puck around the curve! More info. 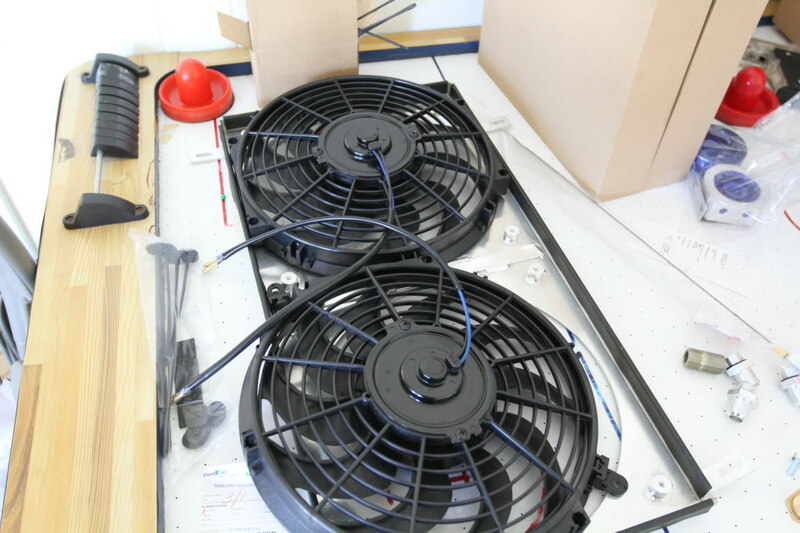 A broken fan, or blower unit, is one of the most common problems with air hockey tables. This is one of the only mechanical elements and as such, is bound to fail over extended periods of time. For improved results you should clean off the fan blades and make sure that nothing is obstructing the cycle of the fan. Accumulated dirt and dust will decrease the amount of air being moved by your fan. This will result in poor playing conditions, increased friction between the puck and table, and slower playing speeds. You should also keep in mind that if you don’t clean out your fan every few months, dust can also clog up the holes on the air hockey playing field. This can become a pain to clean out. You don’t want to use a needle because you may increase the size of the hole, making air blow unevenly. Use a rag or a pressurized air can with a straw to target these holes and free any dust. Be sure to clean out the bottom end of your table when you’re done to prevent dust from being blown back into your board. For more information about Air Hockey Tables you can visit our Air Hockey Category at the top right of this page. GameTablesOnline.com is your source for quality air hockey, billiards, and shuffleboard tables. Give the experts a call at 1-888-565-7180 to find the answer to all of your questions! 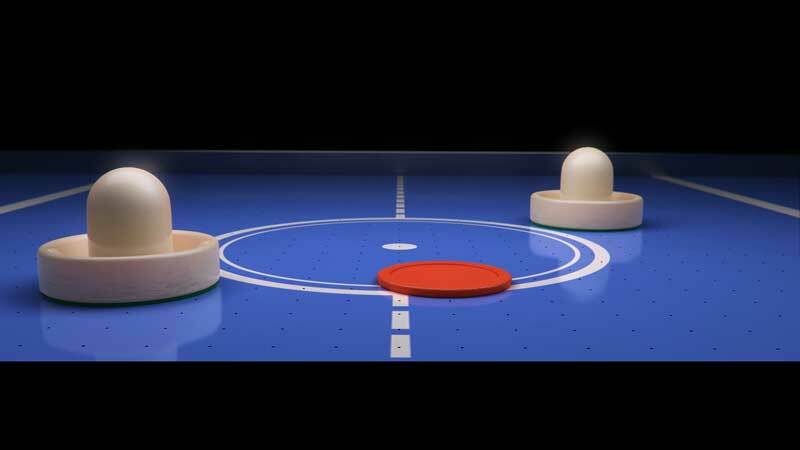 This entry was posted in Air Hockey by admin. Bookmark the permalink.